Adjustable bar-end extensions, an optional accessory on the Arc 8, offer greater versatility in adjusting your riding position on the fly for climbing hills, sprinting flats or cruising descents. The ElliptiGO Enthusiast's Accessory Bundle contains all of our most popular accessories in one kit to help keep you safe, hydrated, informed about your ride data, and ready to tackle emergency repairs. 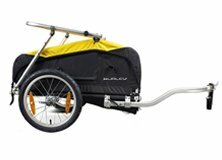 ElliptiGO Arc 8 5 out of 5 based on 3 ratings. 3 user reviews. Experience the fun and comfort of elliptical cycling on the ElliptiGO Arc 8, our newest elliptical bike. The Arc’s sleek aluminum frame is what enables it to be our lightest and most affordable bike. With eight gears and a compact elliptical stride, the Arc not only delivers a fantastic low-impact workout experience, it also gives you the ability to cruise comfortably, sprint off the line quickly, and climb steep hills. Learn how to maximize power and performance on the Arc’s compact stride motion.